Cami & I went to see Favreau's Chef. This is a great movie, one of the best I've seen this year. There were not a lot of people in the theatre but we all left hungry and looking for food. 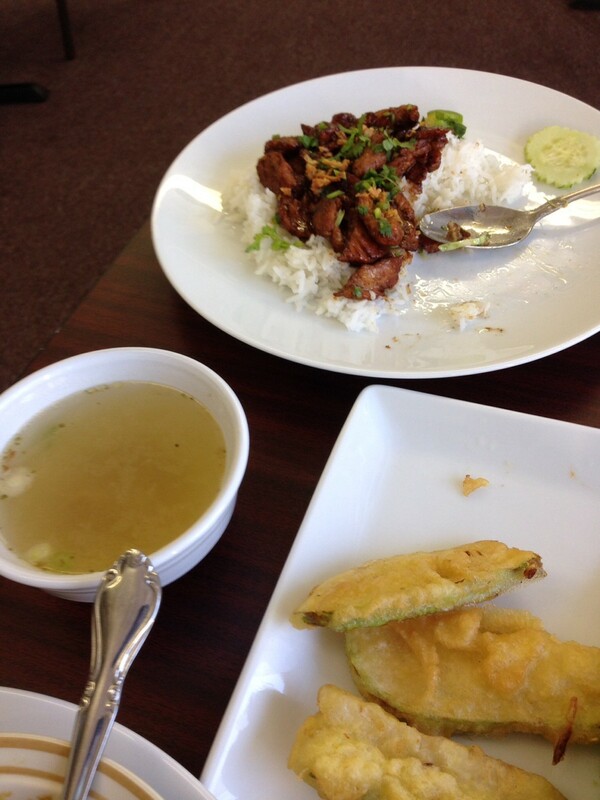 We are trying to eat our way through the menu at a new restaurant in town called Naing Myanmar Family Restaurant. A mom and pop joint. She cooks and he does everything else. We didn't think about taking pictures at first but did before we had finished. There are two versions of the menu. One with numbers and pictures of each dish and one with descriptions of each dish. 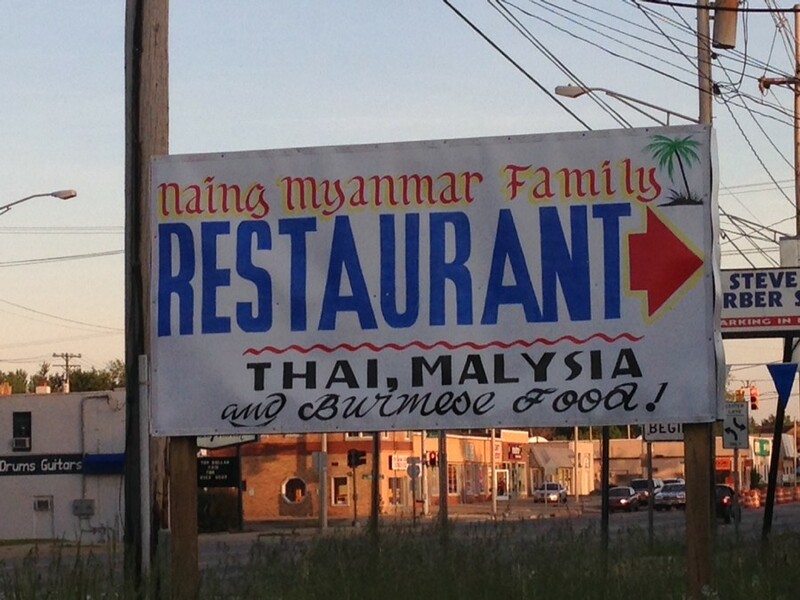 The Thai part of the menu I am familiar with, as with the Maylasian but not the Burmese portion of the menu. 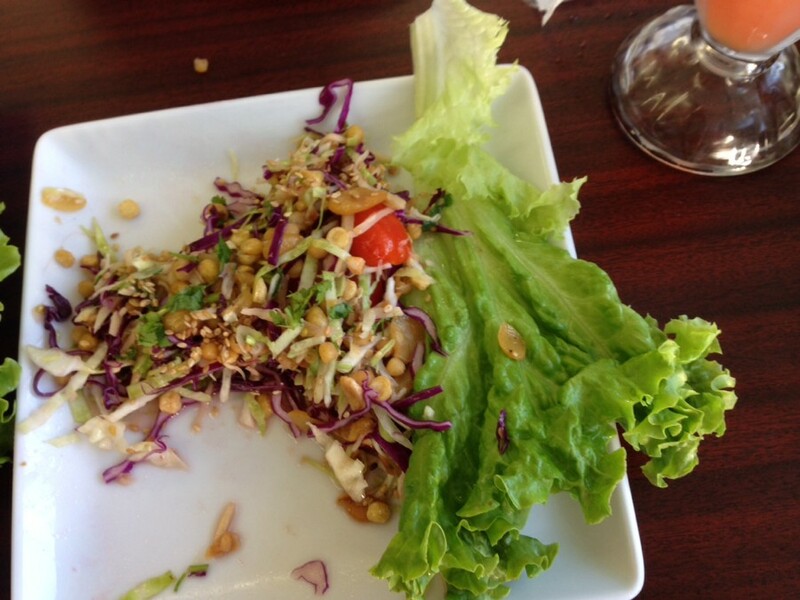 My favorite dish I think is the pickled tea leaf and beans salad. Today we had the ginger and ... version which was good but not better of the two. 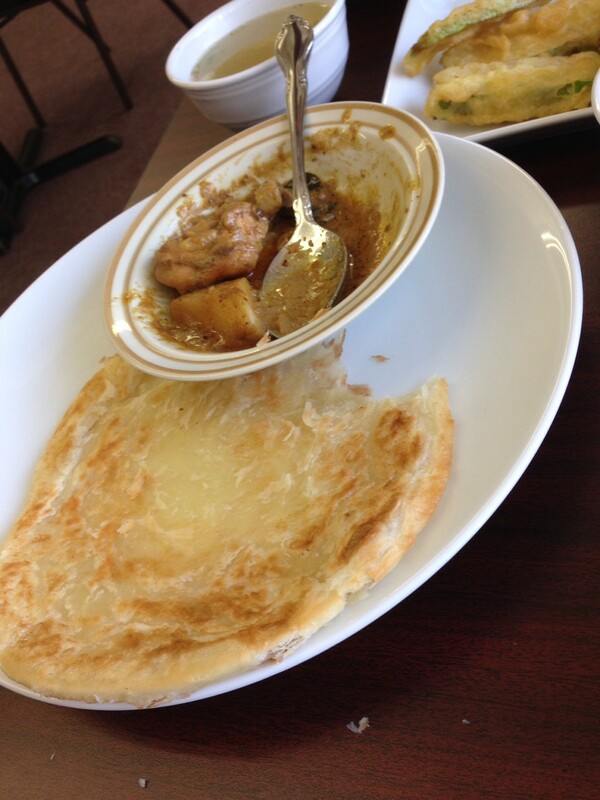 Roti was a special today. Fried bottle gourd and garlic chicken in the back. We will be back again next week.